Wedding is one of the most important functions in which every women and girl must participate with applying makeup on your skin especially on face. Nobody miss this opportunity to attend a wedding function especially by girls. In this era of modern age makeup is used by both male and female in the different evens like party, celebrity and wedding but this trend is mostly popular among young girls. Different variety of makeup is introduced in the market and many beauty polar is opened for makeup and they also trained to other girls. In these kinds of makeup some kinds or some beauty polar avoid caring or tips which are very necessary for skin. Due to this varies problems or diseases occur on the skin. In this article we talk about some important wedding makeup tips which should be following for your skin health or beauties. Wedding is the ceremony which is the dream of both male and female and in this day both male and female used makeup to increase beauty, especially a women used in the day or before some days of wedding because in the day of Barat the focus of all the people who participate in the wedding must see and suitable comment on the person whom wedding is arranged. 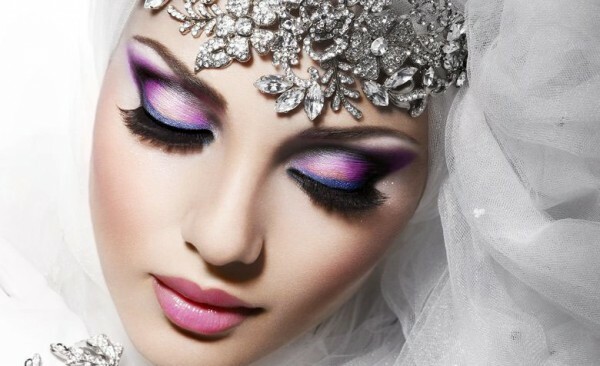 There are the following wedding makeup tips which are very useful before, during and after makeup. Before wedding, it is most important that you should first prepare your skin for bridging makeup. Before some days of wedding you should prepare your skin and keep it neat and clean by avoiding those works in which dust is on your fac. An expert makeup artist also advise to every bridal girls that doing less works and clean work before wedding because it is good effect on makeup and effect of makeup is keep for long time. This is another most important tip for makeup is that you should first choose the type of makeup which you want to apply according to your skin. There are many types of skin and every makeup style is not suitable for all kind of skin. In the wedding makeup tips, you should first follow this tip for long time beauty and for skin care. It is most necessary that your makeup should be matching your dress. Use that kind and type of makeup which kind or type of dress you used in the wedding. Mostly white color of gown is used in the wedding, in which you don’t need to make too makeup because your gown also reflect your face. If you used a romantic type of gown then smoky eyes and bright lipstick will clash, not complementary. If you used dressing type with a lot of adornment in your hair then you should need simple makeup. For getting more satisfied in the day of wedding and satisfy to the person who doing and prepare you for wedding, it is necessary that you should almost a month before of wedding must going to polar for trial makeup. This way will help you to deceased the confusion about person and makeup type. During makeup, the most important point is that caring about makeup on the day of wedding. It’s totally different among other functions you attended, because remaining other functions you can do any type or kind of makeup on your face but on the day of your wedding the focus of all the persons is you. Using that kind of makeup which type of skin you have is the effective for your skin and your beauty. Avoid having your makeup airbrushed, it help leave your face is flat. Keep tissue in suitable place. Don’t use a spry tan before a wedding day; it will be wrong for your face. if you used any spry tan then try it out a first month before wedding. Once makeup is applying, then no need to touch it. Don’t forget or neglect other places of your body like back, arms, chest etc. use a shimmer lotion for that otherwise it look like a splotch in your body which is bad effect. Don’t avoid your bridesmaids, hair and makeup, your looking should be cohesive and beautiful among other or if you are standing among together. These are the wedding makeup tips which should be followed by a person who is doing that work because it is more sensitive work about skin. A little mistake creates a big problem for you and that person. Wedding is that occasion which occur almost once time in the life so everyone wants to make it memorable and don’t forgettable. As you know there are many beauty polar are opened for wedding makeup in which most of them are not expert even some have not enough knowledge about makeup. You should choose or select those polar which are expert and you satisfied about its previous experience. If you don’t know about any polar who is better than else then you should make a trial on polar before wedding. It will help you to select polar for wedding makeup.